I’ve recently introduced a new system for presenting and delivering images to clients. I haven’t shouted about it to everyone yet because I felt it needed to be tested with some trusted clients first, but it’s proving so popular that I’m offering it to anyone I think can benefit from it. The system is great for keeping any commercial images organised. It used to be I’d shoot an assignment, then make a web gallery from the images before any post production was carried out on them. The client would choose images from the gallery, send me the image reference numbers, and I would carry out post production and send the photos via CD, email or FTP. The client would either have an agreed number of images included in the price, or would pay an hourly post production fee according to how many images they needed. This was all well and good, except that most clients would end up choosing 30 images from a 30-image deal (for example) when they only needed maybe 12 images to start with. The rest they were picking just to make up the package, when they didn’t necessarily know how they might use those photos. Now with the client-specific, interactive gallery, I do the shoot, edit the pictures, do post production on all remaining shots and upload them to the client gallery, from where the client can download the files they need, when they need them. The files are all ready to be published when the client sees them, and they don’t need to download the entire package of photos in one go. The gallery remains for as long as the client requires it, and indeed the client can have me add to the gallery with subsequent shoots. This development has also allowed me to put together a more formal pricing structure for all those assignments which don’t have special, extra requirements in either equipment, travel or licence to use the images. In other words, standard corporate shoots. You can download the rates card here Tim Gander Fees to see how it works. I put together three packages to suit different business sizes, types and picture needs, from an all-in option for the busy client with a need for quick access to lots of images over a period of time, to the startup that might just want to have a bank of images sitting safely there for them to buy as and when they need them, thus managing their cashflow better. Of course there will be times when clients need more extensive rights to the images than my standard terms allow for, and there will be clients with a much lesser requirement, or shoots will be more or less complicated or expensive to run, in which case rates will be negotiated according to the assignment and the client’s needs, but this system will suit the majority of standard, corporate assignments. I welcome feedback on this, so have a look and tell me what you think. 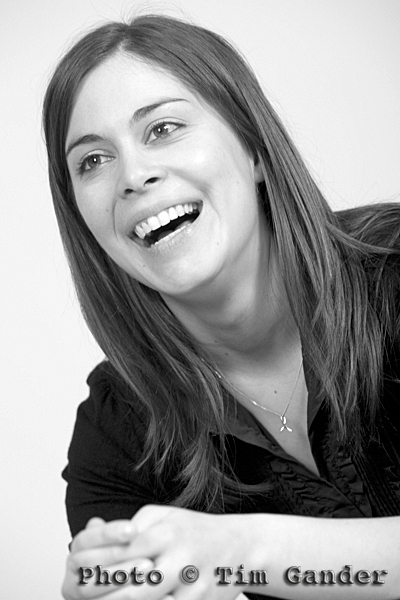 Tim Gander is a commercial photographer shooting corporate photos for businesses in the Bath, Bristol, Swindon and Salisbury areas of the South West of England, and has a habit of talking about himself in the third person. Question: When is a wedding photographer not a wedding photographer? Answer: Apparently when they say they’re a commercial photographer, a press photographer, an architectural photographer, a spoon, a pomegranate. Whatever their keywords and web blurbs say they are that week. You may sense from this post that I’m a little fed up. Maybe I am. Maybe I’m frustrated at the number of new clients telling me they were looking for a commercial, press or PR photographer (in other words, a photographer with the requisite experience for the work they’re looking to get done) but had to wade through pages and pages of Google search results of wedding photographer sites to get to mine. I’m not half as frustrated as those clients are, but I feel their pain. Google is a great tool, but it becomes pointless if businesses pretend to do what they don’t, and try to attract visitors who will rarely convert into clients, and who will probably regret it if they do. I know some wedding photographers can take good corporate, commercial and maybe even decent press photos, and they’ll have galleries on their sites to prove it, but most only ever do weddings. On the rare occasion they get near a corporate shoot, it often ends up looking like a wedding in an office. So why do photographers pretend to do something they don’t and mostly can’t do? Perhaps they think clients are stupid and won’t know the difference, or they think that since they mainly work weekends it might be nice to pick up the extra work in the week. They clearly also believe that once you have a camera, you can tackle absolutely any photographic assignment. Regardless of the actual kit, experience and skills required. 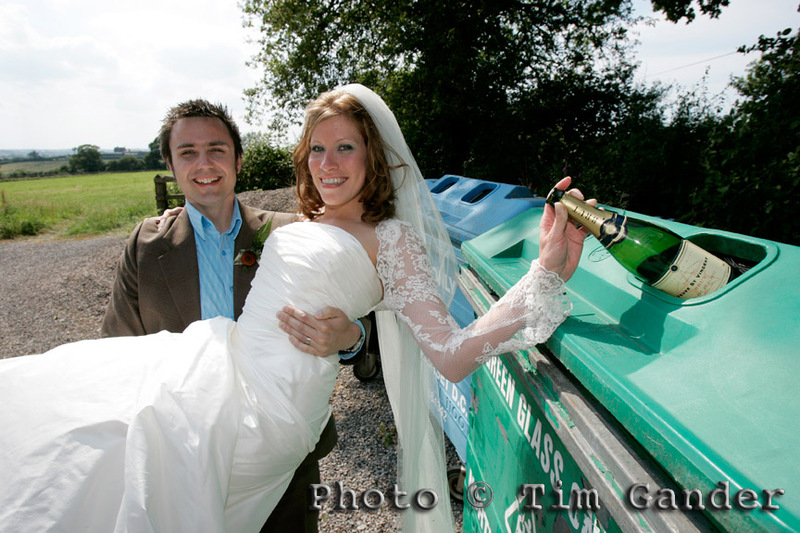 In my defence, this was shot for a feature on eco-friendly weddings. So off they go with their keyword blunderbuss, kerblamming their site with keywords that have only a tenuous connection to what they actually do. I don’t list weddings as one of my skills. I don’t put “wedding” in my keywords. Neither do I put “puppies”, “Bat (or Bar) Mizvahs” or “christenings” in there. Why? Because I don’t do them. Just like I don’t do plumbing, antique restoration or brain surgery. Why compete with people who already know what they’re doing and have the workflow, supply chain, mental skills and experience to do those jobs? Recently I added my details, with keyword tags, to a local creative forum website. Within a week, a wedding photographer had done a copy and paste of my keywords, then added “wedding” to the end. A look at his website showed no sign of all the disciplines he’d listed, except weddings. He’s clearly on a fishing trip for extra work, but his entry, like a blunt pencil, is now largely pointless. If anyone needs to do a web search for a photographer to take pictures for commercial publication, they will have to be sure to type “-wedding” (thus removing any site ranked using that word) into the search box in order to get more relevant results, which seems a bore. But if these jack-of-all-photography types are going to insist on using keywords like a drunk uses expletives, it may be the only solution. I could strike back by adding all the weddingy keywords to my site, but there’s no point in that. Did I mention I don’t do weddings? Professional and amateur photographers can celebrate this morning! And what a sweet song of victory it was. 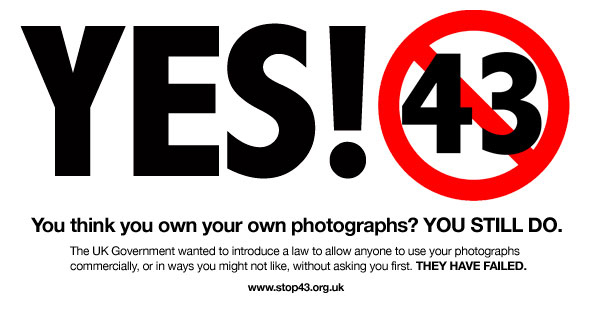 Thanks to Editorial Photographers UK (EPUK), stop43 and thousands of individual photographers, clause 43 of the Digital Economy Bill was dropped (proof here if you scroll down to Enforcement Obligations) last night, and the bill was passed without it. I wish I could add my thanks for the support of organisations like the British Association of Picture Libraries and Agencies (BAPLA) and the Royal Photographic Society (RPS), but instead they chose to opt for having their tummies tickled by Government perhaps (though presumably not in the case of the RPS) with a view to becoming licensors of orphan works themselves once the bill was passed. Instead they’ve left themselves damaged for having tried to sell copyright for a fistful of beans. But let’s not be too proud in victory. All these organisations took views which they thought were correct. They operate in an unfamiliar environment now, and we will need to work with them over future legislation which will surely be tabled by the next Government. Copyright laws do need reform, photographers want it, and individuals and “representative” organisations will need to work alongside each other to achieve a fair balance between creator and consumer. All we ask is that our work, and the work of countless creative amateurs, isn’t stolen from us and sold to all takers, and that we have a statutory right to be identified as the authors of our work. There are other issues which need to be sorted out, but all in good time. Perhaps the next important battle is the proposed changes to the Data Protection Act, which will see much photojournalism and street photography outlawed or rendered impossible. One thing at a time, though eh? If the DEB becomes law with S43 in tact, your photos become fair game. Today’s the day. Not only will Gordon Brown pay a little visit to Buckingham Palace to ask if he can dissolve Parliament (yes please! ), and give us our chance to vote for the frying pan or the fire, the blunt axe or the sharp one, but it’s also the day the Digital Economy Bill gets its Parliamentary debate (such as it will be) and will either be voted through in the wash-up, or dropped. If it goes through, it may or may not include Section 43 which deals with orphan works. In the Parliamentary equivalent of a smoke-filled room, all the horse trading between vested interests, and personal ambitions of departing politicians with an eye on their post-political careers, will come into play. Forget democracy, this is a seedy little private auction for business and career interests. There is hope though, even at this late stage. A couple of days ago, the conservatives announced they would oppose Section 43. But of course there is still a risk of a last-minute change of mind (they are politicians after all), and we’re still not entirely sure which way the Lib Dems want to go. They’ve made encouraging noises about how Section 43 should be changed, but no clear commitment to oppose it at this stage. Personally, I hope they have the integrity to oppose the entire DEB on the basis that one afternoon isn’t enough time to debate anything as complicated and contentious as this bill. If they do that, and the Conservatives stick to their announced opposition, the bill would fail to be passed. We have to believe that at the very least, Section 43 will get dropped. The amount of time and effort expended by my colleague photographers in fighting this ridiculous bill could have been better spent doing our jobs or completing VAT returns and getting our books up together for the end of the financial year. But no, some daft politician somewhere managed to come up with a system of dealing with orphan works which was so insanely un-balanced and damaging to our profession that we had to pour all our efforts into this. And before you start playing your violins for us, remember that even if you are not a professional photographer, even if you are not based in the UK and even if you only take photos of your drunk pals on a Friday night, if some commercial or political organisation thinks your pictures are worth stealing and using without payment or permission, the orphan works legislation would affect you. If you’re in a photo taken by someone else that gets used without payment or permission, this legislation would affect you. So let’s wish Gordon a nice trip to the Palace and hope all this effort has paid off. Jeremy Nicholl’s excellent blog continues to inform on the developments. Click here for more. Stop 43 has made virals with which to lobby your MP. I just wanted to start this article by thanking everyone who read my last article, “Orphan Works. No It Doesn’t“. Each and every one of the 3,724 of you and counting, which is a personal record by a distance of about 3,600 (give or take). What the article proved to me is that A LOT of people are seriously concerned about the Digital Economy Bill. We now know who’s lined up to be the culture vultures (pejoratively speaking), who will pick the commercial flesh from the bones of the orphaned works they’d like to sell. Aw, poor loves. My heart bleeds, it really does. What they fail to mention (strangely enough) is the converse, massive damage which clause 43 will inflict upon the creators of those original works which the BBC and others would like to exploit. What we can be less sure of is the position to the DEB of other players. I know there is much disquiet amongst back-bench Labour MPs at the threat to copyright, and the Lib Dems are generally against the DEB being rushed through without scrutiny. Meanwhile, there has been no detectable or recent view from the Conservatives that I can see, and I have neither a Tory MP (mine is Lib Dem) or the right connections to get any kind of response from the Parliamentary Conservative Party. What I do know is that Leader of the House of Commons, Harriet Harman, has been persuaded to give the bill a full day’s second reading debate on April 6th, which will still only be the Bill’s second reading. We can hope that enough opposition from all sides builds in these last few days, and that some brave Labour MPs go against the party whip to defy the bill once it’s been through the wash-up, assuming it gets that far. It’s still probable though that Labour will have a majority vote on the Bill. Let’s be honest, most Labour MPs don’t give a monkey’s cuss as they fully expect to be bounced out of Parliament pretty soon anyway. That’s if they’re not stepping down for fiddling expenses. From all this, it’s still hard to say for sure which way things will go. Close to the wire doesn’t describe it, so continue to write, get onto your MPs’ Facebook pages and lobby them there. If this Bill becomes law with Clause 43 included, the consequences will be dire for both professional and amateur photographers. Prepare to lose control over your own photos, regardless of who uses them, how they are used and with no recourse to punish those who exploit them. Update: Professional photographer Eileen Langsley blogs about the DEB. Excellent illustration of when copyright abuse backfires monumentally in this article by professional photographer Jeremy Nichol.